Mike Ryan, a longtime member of the team, wears many hats at DC Access. You might find him working on equipment repairs, systems installations, or assisting on various other projects around the company. Mike grew up on the Hill and knows the neighborhood forwards and backwards. He grew up north of Lincoln Park and has lived there his whole life. DC Access strives to hire neighbors who really know what it is like to live here on the Hill! You might not know that Mike is a big paintball player – he tries to get out to play with friends every weekend. Most of the time he ventures out to Virginia to play paintball, but he even has a team he plays with in Pennsylvania and New Jersey. Talk about dedication to the sport! One of the benefits of living on the Hill is access to delicious and diverse kinds of food. 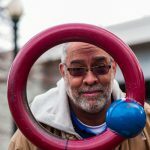 Two of Mike’s favorite places to eat are Addis on the 700 block of H Street NE and Kenny’s BBQ Smokehouse on 8th and Maryland. Both restaurants allow you to call head for counter pick up, so it’s easy for Mike to place an order for a quick lunch while he’s out serving our customers. Be sure to say hi to Mike next time you see around the neighborhood to get more restaurant recommendations – or challenge him to a round of paintball! 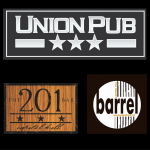 Matt Weiss, owner of Barrel, 201 Bar, and Union Pub, is a DC native who lives and works on the Hill. Matt met Martha when they both served on the CHAMPS board and immediately knew that DC Access would be a good fit for his business. Matt recently moved his office to a newly meticulously restored and renovated space above Barrel and needed to get internet service hooked up in the space. Matt was concerned that any service work would interfere with his carefully chosen aesthetic. But, Matt was pleasantly surprised when the DC Access technician heard his concerns and worked with Matt to make sure that wires were placed out of sight and holes were drilled inconspicuously. The DC Access technician didn’t just enter the space and work as quickly as possible – he understood the customer’s concerns and listened to his ideas before starting work. Washington, DC — The holiday season is here! It can be tough to find the perfect gift for everyone on your holiday shopping list. For the cord cutter friends and family in our lives, in particular, it can be difficult to sort through the ever-evolving technology and available program offerings. Let’s dive into our favorite streaming subscriptions and devices for cord cutters. Amazon Prime – Amazon Prime is an amazing service for many reasons – and if free two day delivery on millions of necessities isn’t enough of a draw, a subscription also gives your friends and loved ones access to original Amazon Prime programming, like Transparent and The Man in the High Castle. 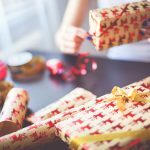 Purchasing an Amazon Prime subscription as a gift is easy, plus the gift is emailed on a day of your choosing – what a great gift option for family and friends that live far away! Netflix – Netflix is a must-have for cord cutters. Its digital library of movies and TV shows is unparalleled. You can pick up a Netflix gift card at your local supermarket, drug store, or anywhere else you head to buy gift cards. Then, all your gift recipient needs to do is enter the code from the gift card and they are all set to use their new Netflix subscription. Hulu – Hulu is a great service for cord cutters who want to stream both network TV and Showtime, in addition to original programming. Much like Netflix, Hulu gift cards can be purchased at your local supermarket, drug stores, or technology superstore. Sports Packages – For cord cutters, live streaming sports can be the most difficult adjustment. Why not make it easier for your friends and neighbors to catch all of their favorite teams and important games? With its ESPN partnership, Sling TV is the best bet for the general sports lover. But for fans of specific sports, the gift of an all-access pass to their favorite sport is a sure-fire slam dunk this holiday season. Our favorites include NFL League Pass, MLB.TV, NBA TV and NHL.TV. 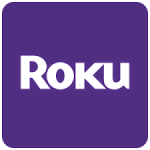 Roku – James, our Customer Service Specialist, is a big fan of Roku Premiere+. As we have written about in the past, in our experience, in densely populated, actively streaming communities, like the ones DC Access serves, an Ethernet port connected set-top box streaming device always provides the fastest and clearest media streaming experience. Noise Cancelling Headphones – What if your friend is trying to catch up on the latest season of House of Cards and their roommate is wrapping gifts and listening to holiday music at full blast? We recommend noise cancelling headphones like these from Samsung to make sure your friend don’t miss a minute of President Underwood’s latest machinations and schemes. Indoor HDTV Antenna – An indoor HDTV antenna is crucially important for cord cutters who want better reception of network TV and local programming. For people who live in DC, we suggest purchasing this HDTV Antenna. If your cord cutter lives in a more rural area, the 1byone Amplified Antenna might be a better fit. DC Access can also help set up your friend or family’s home with Free TV DC, to receive peak reception of local channels using an outdoor antenna. Lap Desk – If that special cord cutter in your life streams content on mobile devices, you can help amp up their viewing experience with one small purchase – a lap desk! Rather than holding devices or propping them up against couch pillows, we suggest using a lap desk like this one from LapGear for a steadier picture. Over The Air DVR – Just because your friends and family cancelled their bundled cable contract doesn’t mean that they need to watch TV live without a DVR. TiVO Roamio is an OTA DVR and Streaming Media Player with no monthly fees. This device is compatible only with HDTV Antenna – it doesn’t work with cable or satellite TV. Plus this TiVO integrates with streaming services and is clever enough to search TV and streaming content at the same time. 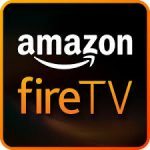 Do you have any favorite streaming services or devices to add to our list? Let us know! As a DC Access customer, chances are you have met Tony, our resident internet and TV installation expert for residential single-family homes and small businesses. 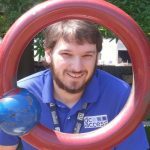 Tony Curseen has been a member of the DC Access team since 2010! Tony spends 99% of his time out in the field visiting customers and connecting them to DC Access service. He loves getting up on the roofs of buildings in the city and looking down and out at the great view stretching before him. When he is in the office, he enjoys getting updated on new developments at the company and getting out of the weather. Tony isn’t just a DC Access employee; he is also a customer! He finds DC Access service incredibly reliable – and the best part is that he knows exactly who to call if there ever is an issue! Tony is a DC native – he grew up on K St NE, just 6 blocks from where he lives now. Tony is a family man – he has four kids and he loves spending time with them. In his free time, Tony likes to escape the city and travel or go fishing. Tony is a big fan of Indigo, a takeout Indian restaurant on K St NE. For a more scenic day, Tony likes to spend time at the United States National Arboretum or the Fredrick Douglass National Historic Site in Southeast. Tony is always ready and able to help DC Access customers have the best service possible. Be sure to say hi next time you see Tony around the neighborhood! Don’t Miss a Second of Election Night Coverage! Election Day is finally here! Like most DC residents, we will be glued to our devices to make sure we don’t miss a moment of the exciting Election Night results. Not sure where to turn for the most up-to-date news? Let DC Access help! 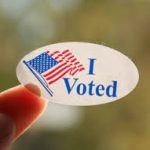 Broadcast channels and Cable News channels will provide some of your best election night streaming coverage. The big three (CBS, NBC, and ABC) will offer live results and frequently updated news feeds. You can also catch live-streams on CNN,MSNBC, and FoxNews (depending on your political leaning). Twitter is also getting into the Election Night live-streaming fray. Twitter recently announced a partnership with Buzzfeed to stream the night’s news. Buzzfeed’s news reporters will be reporting live from New York. The Washington Post is introducing a new Election Night streaming experience with live programming, a viewing party, and real-time updates. We think viewing election results straight from the floor of the Washington Post is pretty cool! Or maybe you have Election Fatigue? Turn your ringer off and plug into a Netflix marathon! Customer Spotlight – Meet Hill’s Kitchen! 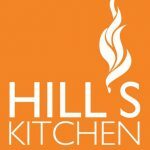 Have you been to Hill’s Kitchen? This fantastic kitchenware store on the Hill is a longtime DC Access customer. Owner Leah Daniels switched to DC Access service because she believes in supporting the community, neighbors, and local businesses. Leah spoke glowingly about DC Access service – she loves that on the rare occasion there is a service issue, she is able to call DC Access and is greeted by a real person on the phone who knows her name and store location.Hill’s Kitchen uses DC Access for store operations, including the crucially important transmission of customer payment information. Next time you’re in the market for new cookware, knives, or other kitchen gadgets, stop by Hill’s for personal attention and great customer service! Eager to cancel your expensive bundled cable contract? But waiting to cut the cord until you’re sure you won’t miss out on your favorite TV shows and movies? Let DC Access help you choose the best streaming device for your home to get the optimal viewing experience. The choice — streaming stick or set-top box? There are lots of choices for streaming content to your home. And which is best can be confusing. 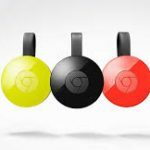 Streaming sticks, such as Google Chromecast, Roku Streaming Stick, and Amazon Fire TV, are small, easily portable, and cost less than $50. The streaming stick is easy to install and plugs directly into your TV’s HDMI port. By comparison, a set-top box, like the Fire TV box and Roku Premiere+, costs approximately $100, and requires a hard-wired Ethernet connection. In our experience, in densely populated, actively streaming communities, like the ones DC Access serves, a set-top box streaming device always provides the fastest and clearest media streaming experience. Due to their small size, streaming sticks are simply not capable of streaming the same volume of video content at optimum speeds. For example, even the newest Fire TV stick can only support resolution up to 1080p, while the set-top box can support much faster speeds. Additionally, the Ethernet port connected set-top boxes provide a more stable connection. If you live in a home with multiple wifi-connected devices, the streaming sticks will need to fight for connectivity, resulting in a more fragile connection. If your set-top box is connected directly to an Ethernet port on your router or a home plug device connected to your router, you’re less likely to miss the latest big reveal in Game of Thrones. However, if you travel often, a streaming stick might be a better solution. Streaming sticks can easily fit in your pocket or bag and are a good choice for people who are often on the go. Looking for more information? DC Access recommends reading this piece by Digital Trends. Meet Casey Fitzgerald, our Intern and Project Coordinator! Casey spends most of his days working on various tasks around the office and helping Martha and Matt with different projects throughout the company, updating systems and customer information. He’s excited to start spending more time doing customer service oriented tasks such as answering the phones and scheduling customer appointments. Casey is a 24 year-old DC metro native who grew up in Montgomery County, Maryland. Casey is glad to be spending his days in the city! He recently graduated from Stevenson University with a Bachelor’s degree in Business Administration. Stevenson was the perfect school for Casey – just like at his high school, Casey liked that everyone in his graduating class was really tight knit and knew each other pretty well. He also admired how his professors go the extra mile for the students to aid in their success. Casey now uses those lessons to work hard for DC Access customers, to make sure they have everything they need to have strong and reliable internet service. Casey enjoys exercising, watching sports, reading and spending time with friends and family. If you’re on the Hill, you might find Casey at the Star and Shamrock Tavern and Deli. Order the Pulled Brisket sandwich – you won’t be sorry! You can reach Casey at casey@dcaccess.net or (202) 546-5898. Drop him a line to say hi and welcome him to the DC Access team! 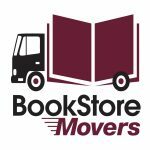 Customer Spotlight – Meet Bookstore Movers! Bookstore Movers is based out of DC Access customer Matt Wixon’s living room and they rely on DC Access service to run this large organization! Bookstore Mover’s previous service provider could not keep up with their needs – and with a fleet of 15 trucks and 80 employees, they require reliable, consistent, fast internet service. The work day starts around 4am and it sometimes does not end until 8pm. The company needs to be connected throughout that time and DC Access has been able to provide reliable service the whole time. Matt was pleased with the easy set-up and responsive customer service. Bookstore Movers is a big fan of the Hill Center. It’s got so many edifying and entertaining classes and events which many people in the neighborhood seem to be unaware of. Plus, the grounds and building are magnificent! They also love Bayou Bakery, right next door. It’s like a little utopian island right in the middle of the Hill. If you need a reliable mover to help you around the corner or across the river, visit the Bookstore website to get started! Customers frequently ask us which service plan they should choose, based on their data needs. It can be difficult to sort through conflicting information from the larger providers and the media about which data speeds are really necessary to get reliable wifi. Do you run a home-office? Do you stream a lot of video content? Let us help you figure out the best data speeds for your needs. The FCC publishes a Household Broadband Guide, which is a great starting point for customers deciding which data speeds they need. Depending on the number of wifi users or devices in your household, the FCC recommends different minimum speeds. For example, if members of your household use two smart phones and streaming content to your tablet and smart TV, the FCC recommends a minimum of 6 – more than 15 Mbps. You might notice, those recommended speeds are much lower than you’ll find the big internet providers and big box stores claim you need to run your devices. In fact there is increasing evidence that “bigger isn’t always better” and higher speeds don’t necessarily mean better service. Just take a look at the exorbitant cost absorbed in Alabama to produce high speeds – customers are not lining up for that service. Our Customer Service team is always happy to help customers figure out the ideal speeds for their households. Unlike when you work with the big internet providers, DC Access knows you and your neighborhood. If you need help, a real person will pick up the phone or answer your emails with easy to follow, concrete tips for improving your connectivity and internet speed. Try DC Access Risk Free! Already a Customer? Tell a Friend, Get a Month Free!